The iPad was always the best tablet around, but with a retina display screen things got much better. If we have waited for an iPad killer for all these years, it has always turned out to be another iPad. This year, there were two iPads, one better than the other , but both better than all the rest. Now, these tablets have better processing power, more sound output, a 5MP iSight rear camera with autofocus and voice dictation. That should do till the next iPad comes along. It is rare for a camera to impress its users at so many levels. This compact mirorless camera is one such device. Be its ease-of-use, its low-light performance or its motorised zoom lens, the EM-5 has an awe factor all the way. We were particularly impressed by its max ISO of 25600 which lets you click pictures in complete darkness, that too with minimal noise. This is one camera that can put most entry and mid-level DSLRs to shame. But then it costs as much as a DSLR too. Our pick for the best television of 2012 faced some stiff competition from the Samsung 55ES8000. We chose the LG model as it had perfected the art of 3D display, which is clearly its USP. It does most of the smart functions you would expect from a TV of its class, but then that is a given. Samsung was really up there too, but we thought that its cutting-edge features needed a bit of fine tuning for that Smart TV to be at the very top. Despite the iPhone 5 and the Lumias, it was the Samsung Galaxy SIII that stole buyers' hearts and wallets in 2012. With a 4.8-inch Super AMOLED HD display, the SIII did not take long to conquer people's minds. In our books, this was a complete smartphone that ticked all the boxes, despite the stiff challenge from the HTC One S and the Samsung Galaxy Note 2. 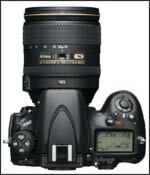 With its 36.3MP FX-format CMOS sensor, the D800 really upped the game for DSLRs. The D800 can give any professional camera a run for its money, what with an improved 51-point AF system, a shutter speed range of between 1/8000 and 30 seconds and a maximum ISO range of 6400 expandable up to 25,600. The extra large sensor means you can now crop any part of the frame into a standalone picture of its own. And, then the video is also of broadcast quality. If there was a complaint, it was about pictures being a bit too sharp for some people's liking. We can live with that, can't we? Well, there was not much innovation on the phone part of this device, but the Pureview camera on this Nokia phone was so good that we were seriously thinking about including this in our special issue on cameras. Never before has a 40MP camera been seen in a device this small, let alone a phone. The 808 Pureview has set the trend for great cameras to be a mandatory feature of high-end smartphones. 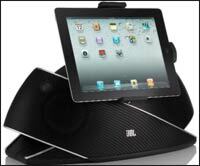 The JBL OnBeat Xtreme, though an iPad dock, ended up being a complete home entertainment solution. So while it had best-in-class sound thanks to JBL's proprietary Ridge tweeters and Atlas woofers that worked in tandem with the lifelike 360-degree soundstage. Then with an iPad on top this dock could turn into a full entertainment console playing HD videos or streaming YouTube content. It also let you make Skype calls or work on the tablet even as you listened to the music coming off it. Don't be foolish enough to dismiss this as jsut another media player. This little black box is good enough to transform your television as well as your entire entertainment consumption behavior. Along with the Android OS, it sports motion sensing, Full HD playback and 7.1 audio support. For the New Year, the device gets an upgrade with Android ICS, 1GB RAM and, best of all, the XBMC media centre. A transparent eye piece that lets you watch 3D movies with Dolby sound as if you were sitting in a real cinema hall, how more innovative can technology be? Well, then the Moverio goes a step ahead with its Android interface that lets you browse the web as well as watch online content. Now, beat that. 2012 was undoubtedly the year of the Ultrabook. In the beginning of the year the Ultrabook shrunk the laptop like never before and by the middle of year it started putting on weight. But the best Ultrabook in our books came towards the fag end of the year, and that too from Samsung. Samsung doesn't like to call it an Ultrabook, but this notebook was just 0.64 inches at its thickest. Still, this was a full-power device with a Intel Core i7 processor and a SuperBright Plus widescreen display. But it had a short life as Samsung has since upgraded the device to a 15-incher for Windows 8.